With TechEd Las Vegas 2016 kick-off imminent, SAP conference season is in full swing, I guess. TechEds are great events, but for those looking for something smaller, personal and off-the-cuff, I can highly recommend the Inside Tracks. After last year’s successful event in Sheffield, this year’s follow-up “unconference” is held at Manchester’s MadLab on Sep 15 – 16. More details can be found here. Hopefully see you there. This is a great, relevant and wide range of interesting topics, which should give attendants an update on the latest tools, techniques and provide real-world experiences. Make sure you mark the dates for Las Vegas (17.-19.11.2015) and Amsterdam (7.-9.12.2015) in your calendar. It would be great to meet you there! Just a few notes on the SAP logo story today: After SAP’s soft launch of a new, golden logo at the end of October, german weekly Wirtschaftswoche reports today (Google translation into english is here) that internal resistance of SAP employees has brought the old logo back. (Update: Handelblatt now also reports on it, quoting an ‘internal employee survey’ and ‘Bill McDermott wanting the company to re-focus again on the actual business’). There are many angles on this topic: cost, vision, culture. However, it might just show that SAP’s employees saw themselves confronted with (too) many changes in recent years. A new logo might have taken this too far for some. Bringing back the blue logo resembles the “Piece de Resitance” for many of them. You could see it as ‘heritage’. Having said that, for top management it’s potentially easier and more cost effective to keep things as they are and focus instead on customer-relevant changes. Which is precisely what SAP (blue or orange) now does. It has become a common theme during and after every TechEd && d-code conference series to take a look at developer skillset requirements. 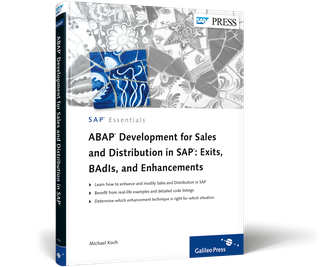 Ultimately, it always begs the same questions: “where do we stand with ABAP?” or “what are new trends that ABAP developers should take into account?“. Or can ABAPers actually afford to do nothing and rest on their laurels? Below is a run down of options (including the option to “do nothing”) and trends for ABAPers. I’ve included a short POV (Point Of View) paragraph to give you my impression on relevance. After a surge in early 2000s (WDJ, CE), We now appear to be witnessing a renaissance of Java at SAP. But of course it’s never been gone completely. However Java has been rebooted by HANA Cloud Platform (HCP), one of the main platform topics this year. As far as Business Suite applications are concerned, some will be rewritten as new cloud applications for HCP and in a hybrid environment; others might interface via OData/Gateway. Custom apps and innovations will be an interesting prospect of this increasingly important platform. my POV: If your company or business decides to innovate its own cloud-based applications on HCP then Java should be something for you to pay attention to – if not done so already. Read on if your company is more likely to focus on Fiori, UI5 and Gateway in the medium term. Launched 2 years ago as part of HANA SP5, XS (Extended Application Services), it includes a full AS, web server and application services in a single place. This is the least favourable option. Here, ABAPers just keep on doing what they’re doing, maybe keeping up-to-date with latest ABAP AS features at a minimum. Bluntly, it means you are not moving on or aiming to stay current. my POV: Despite the doom and gloom, I’d wager very much that “there will always be a backend”, meaning that, despite all new these new layers and platforms I’ve described above, the need for an optimised and up-to-date ABAP backend will remain. As a result, this will leave ABAPers with plenty of work for the next years, maybe decades. At the same time, cost pressures and increased levels of commoditisation in the ABAP area will mean that a smaller number of developers might be required. In a nutshell, you will be very much competing on price and location. TechEd Keynotes – they’ve grown up! Having attended both opening presentations of SAP TechEd && dcode 2014 in La Vegas, it is safe to say that SAP keynotes have grown up. By providing a more engaging style of delivery, Steve Lucas and Bjoern Goerke have managed to capture the audience’s imagination. This is a change that was long overdue. While Lucas’ style was more off-the-cuff, it was Goerke who offered the necessary “Ueberbau”, the almost academic foundation which is an important aspect and will go down well with long-time SAP customers. The Monday night opening was also a big advert for SAP’s product and community advocates, SAP Mentors. Altogether 4 of the group’s existing and alumni members came onstage to showcase solutions. This in itself is a case in point that Mentors are more than an illustrious group of experts who provide a sounding board for the german software business, they’re agents of innovation. Bjoern Goerke’s demo on Tuesday morning, driven by an as-always bubbly and entertaining Ian Kimball, was another highlight and example for the change of keynote delivery style we’re witnessing. In a suit/geek style, the duo built a mobile application in 3 simple steps. An exec building an app on stage surely has to be a first within the Enterprise software arena. All-in-all, this change in delivery style is promising and provides a hopeful lookout. For me at least. Disclosure: as a member of the Mentor program, my conference attendance ticket is paid for by SAP. Just a quick note to point out an exclusive $100 discount by SAP Press to independent SAP Consultants. Currently, the price for an annual subscription is $999, making it $899 for independent consultants.